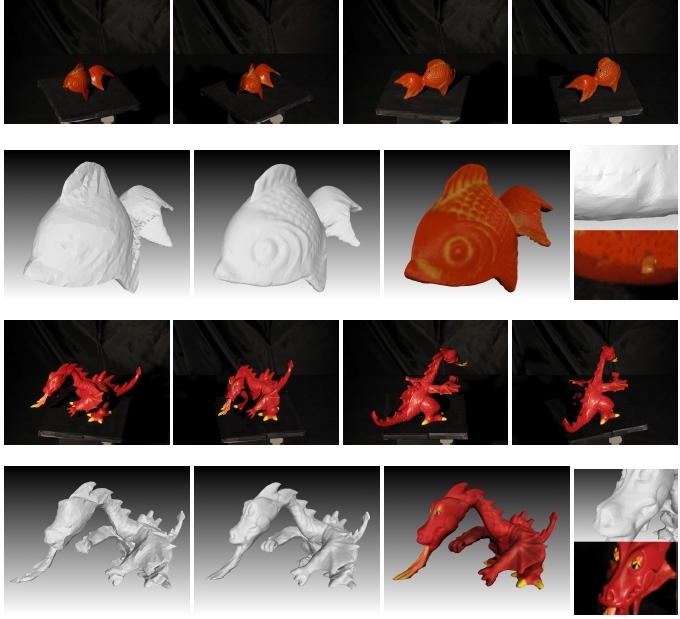 This projects tackles the problem of using variational methods for evolving 3D deformable surfaces. We give an overview of gradient descent flows when the surface is represented by a triangular mesh-based surface, and we detail the gradients of two generic energy functionals which embody a number of energies used in mesh processing and computer vision. In particular, we show how to rigorously account for visibility in the surface optimization process. We present different applications including 3D reconstruction from multiple views for which the visibility is fundamental. 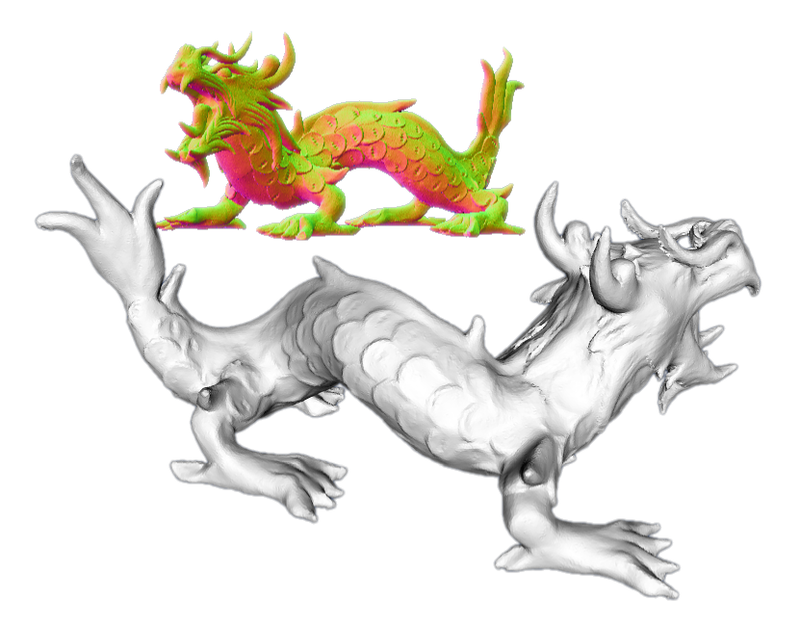 The gradient correctly takes into account the visibility changes that occur when a surface moves; this forces the contours generated by the reconstructed surface to perfectly match with the apparent contours in the input images. Springer. Asian Conference on Computer Vision, November 2010, Queenstown, New Zealand.